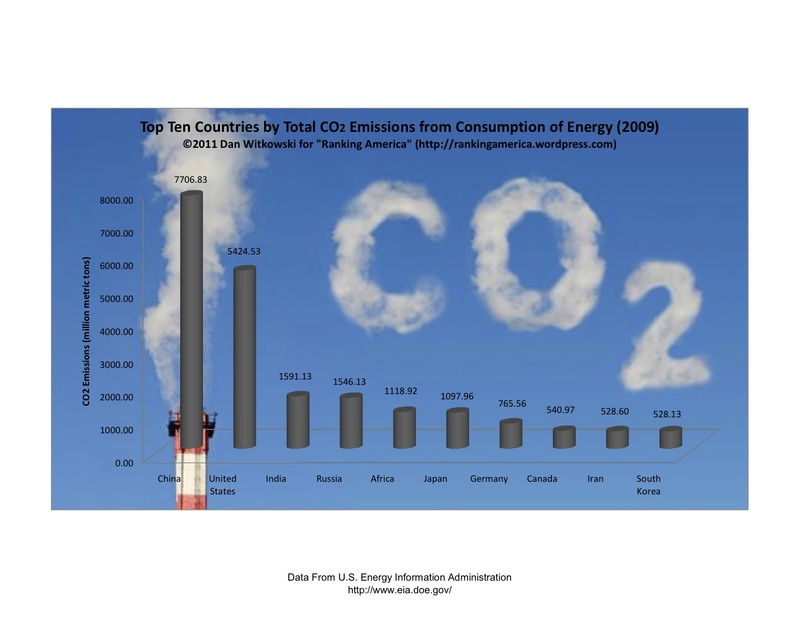 According to data from the U.S. Energy Information Administration, in 2009 the United States emitted 5,424.53 million metric tons of Carbon Dioxide from the consumption of energy, which is enough to make the United States rank second in that category. China ranks first, emitting 7706.83 million metric tons of Carbon Dioxide. 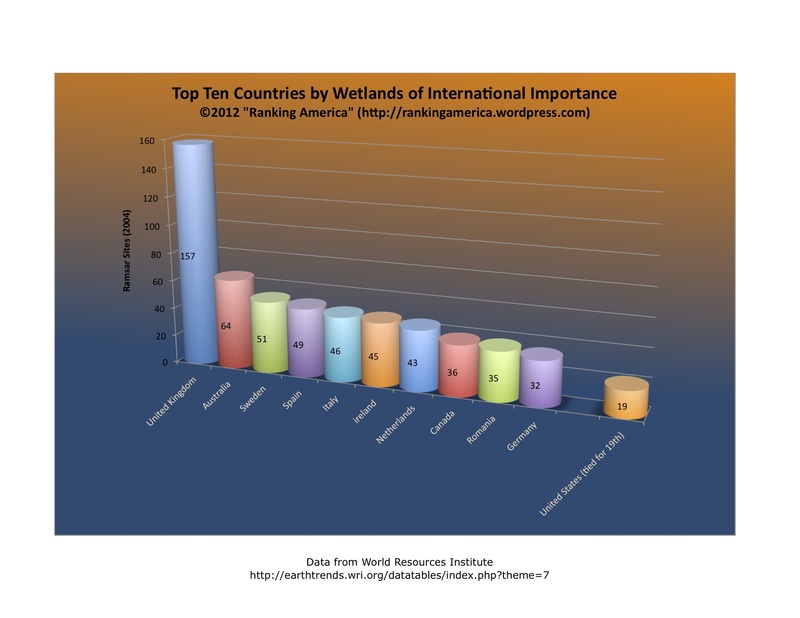 According to The World Bank, in 2007 the United states consumed 85.6% of its total fossil fuel energy, which makes the United States rank seventy-ninth in that category. 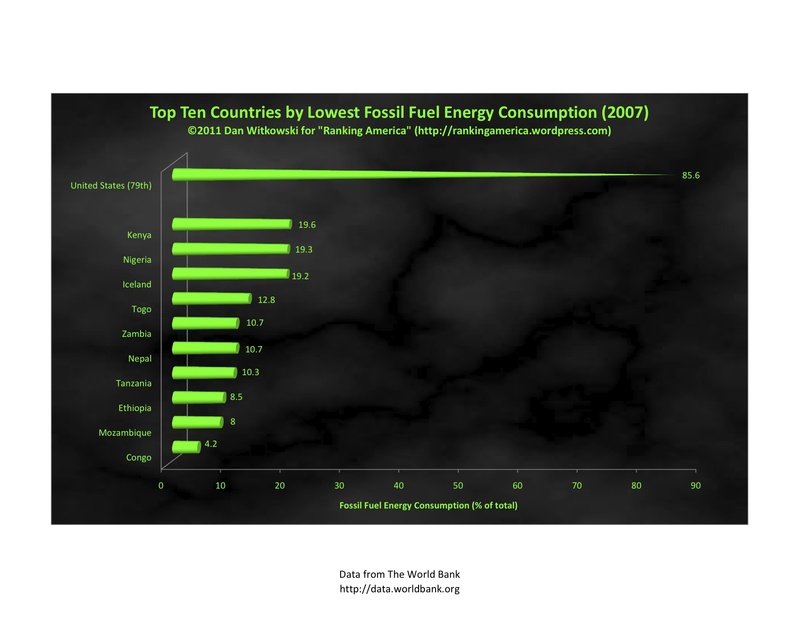 Congo ranks first, consuming only 4.2% of its total fossil fuel energy. 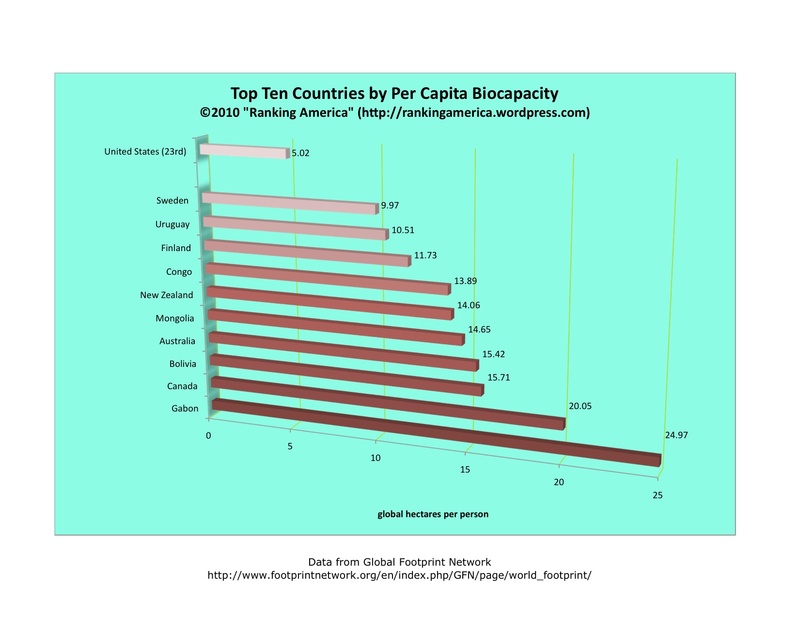 According to the Global Footprint Network, the United States has a biocapacity of 5.02 global hectares per person, which makes the United States rank twenty-third in that category. Gabon ranks first, with a per capita biocapacity of 24.97 global hectares. 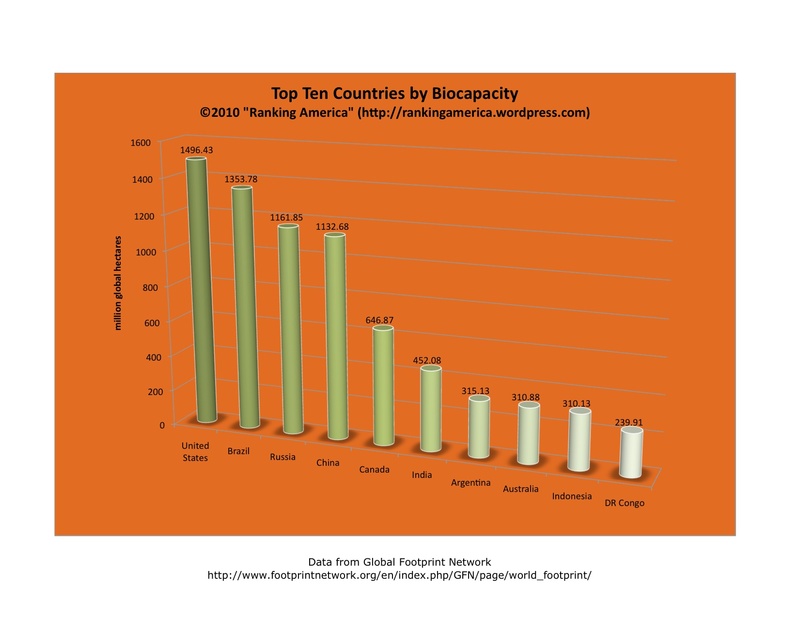 According to the Global Footprint Network, the United States has a biocapacity of 1496.43 million global hectares, which makes the United States rank first in that category. 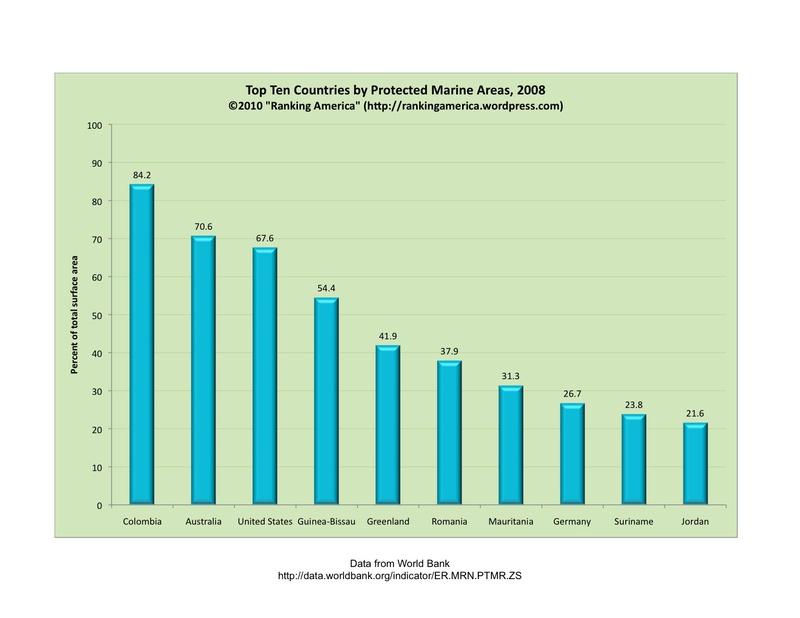 According to the World Bank, 67.6% of the United States’ total marine surface area is protected by law, which makes the United States rank third in that category. Colombia ranks first, at 84.2%. 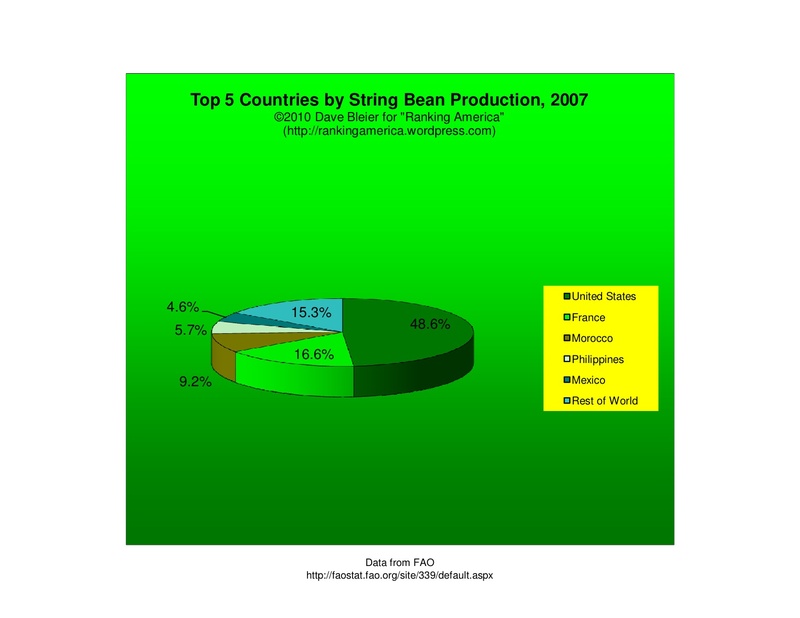 According to the Food and Agriculture Organization of the United Nations, in 2007 the United States produced 48.6% of the world’s string beans, enough to make it rank first in that category. The next closest country was France, with 16.6%. Entry prepared by Dave Bleier.